Your trusty car has taken you on a lot of journeys, so check out these smart hacks that will make your car owner experience even better., while your Car Chrome is a beautiful metal, but taking care of it can be a pain. Even though it tends to be more resistant to corrosion than other metals, it still reacts to oxygen and water to form some pretty nasty looking rust. 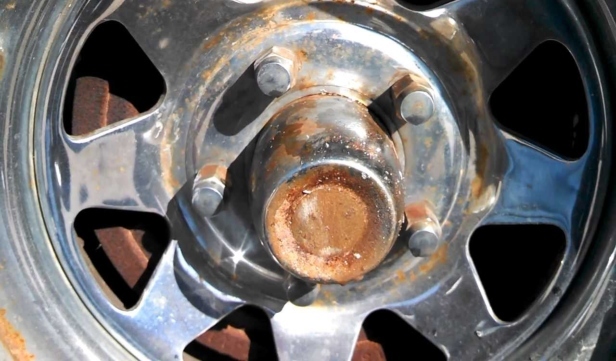 Many car rims are made of metal, and when they rust, it can be bad for your tires. If you don’t want to spend a load of cash getting new rims, YouTuber bcperry15 has a cheap solution for you! It may sound like a hoax, but a simple combination of aluminum foil, water, and good old-fashioned scrubbing can get rid of the red oxide, let’s see how easy it can be?